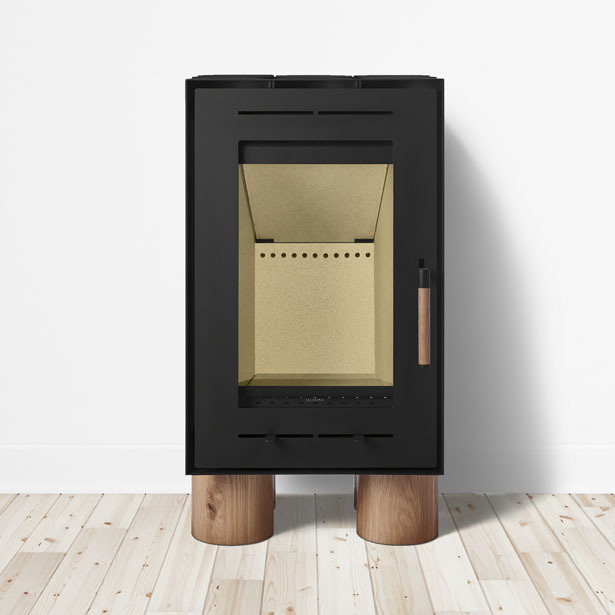 Tek Lumber, an iconic product, results from a collaboration between INNGAGE, a design company, and Solzaima, a wood stoves brand and manufacturer. 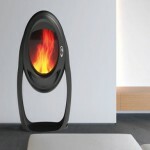 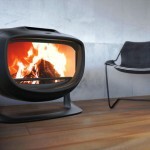 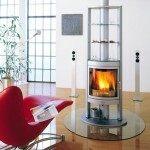 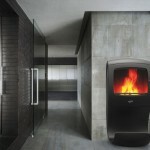 It represents a new concept of wood stoves capable of telling meaningful stories. 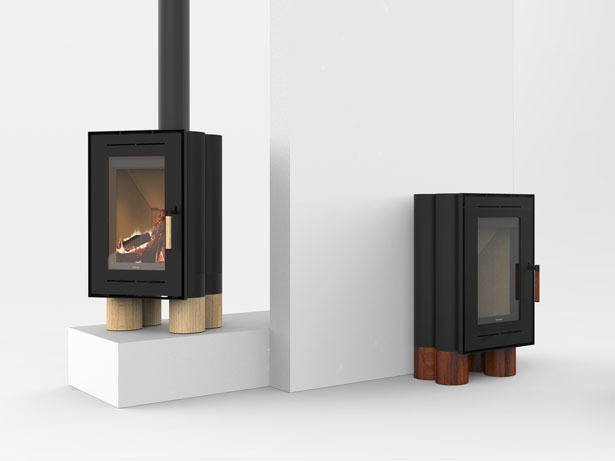 Inspired by wood logs this stove brings a more natural atmosphere to the living room. 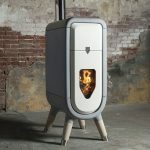 The goal was to transfer nature into the habitat of the consumer, as a reminder of the wood that burns inside the stove. 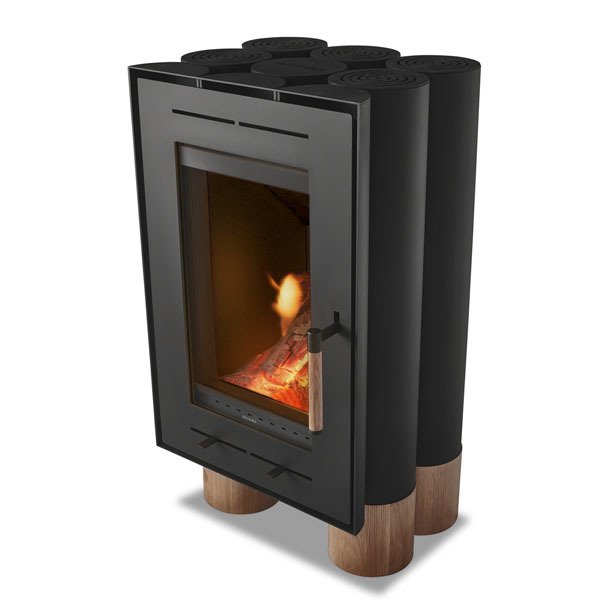 Steel pipes contrast with wood giving form to this everyday product that is eye catching and conveys new charisma to wood burning stoves. 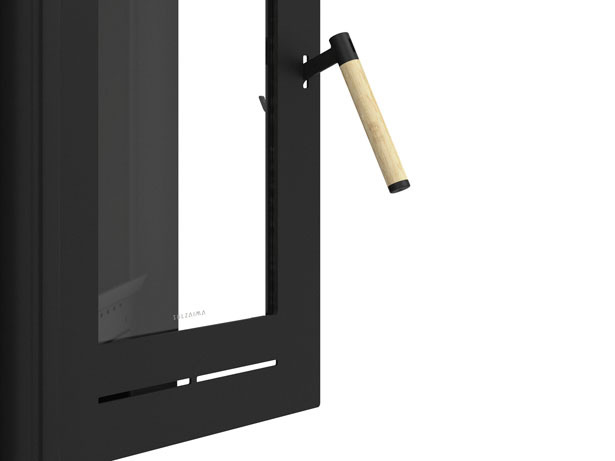 We love the clean glass technology that makes sure the glasses stay clean during stove operation so that you can witness the gorgeous flames. 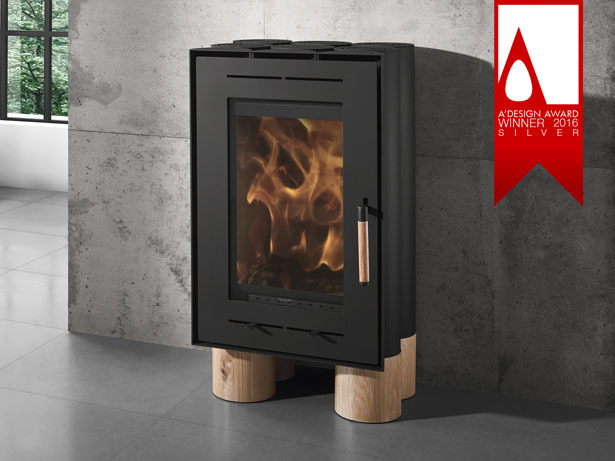 Tek Lumber wood stove has won silver A’Design Award that reflects the value and impact generated from the alliance between good design + brand + industry. 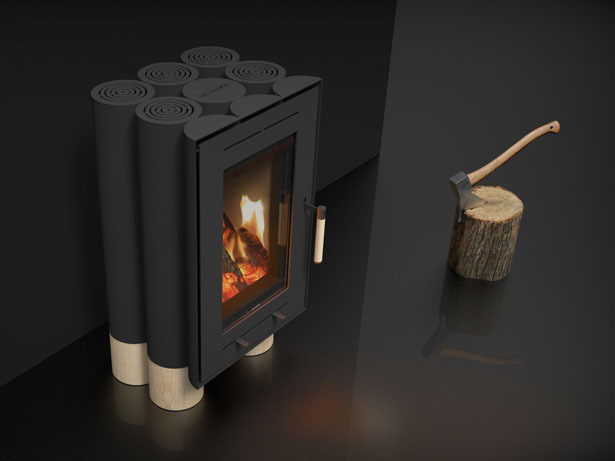 Tuvie has received “Tek Lumber Wood Stove” project from our ‘Submit A Design‘ feature, where we welcome our readers to submit their design/concept for publication. 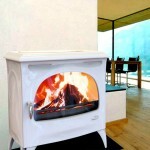 Tagged as electric wooden stove, modern wood stove, wood stove. 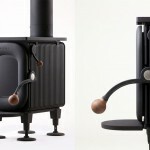 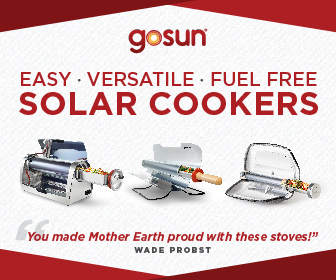 Great looking stove, Story short on facts. 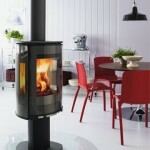 Whats the output, size and most important where does one buy.